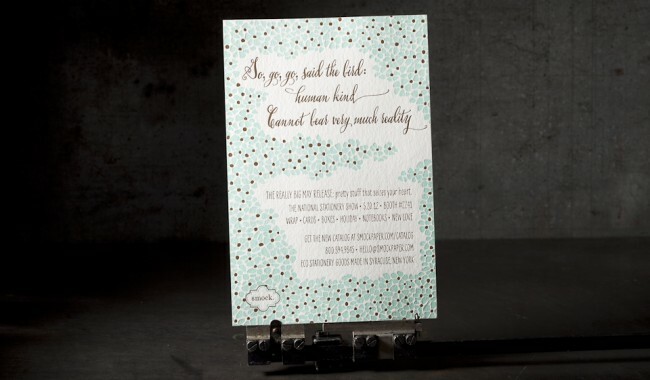 National Stationery Show letterpress invitations. 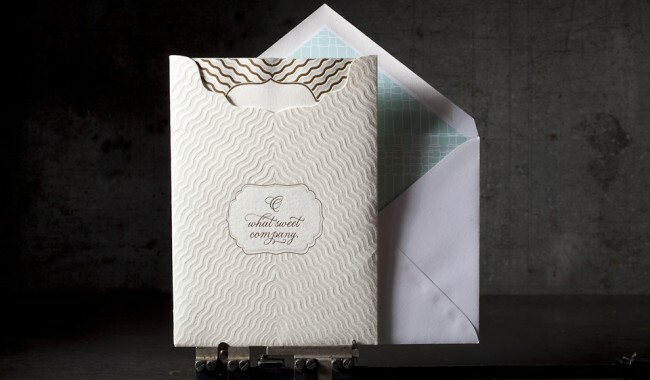 designer: Amy Graham Stigler, Ditto Paper and Jessica Tierney. client: Smock and Bella Figura. 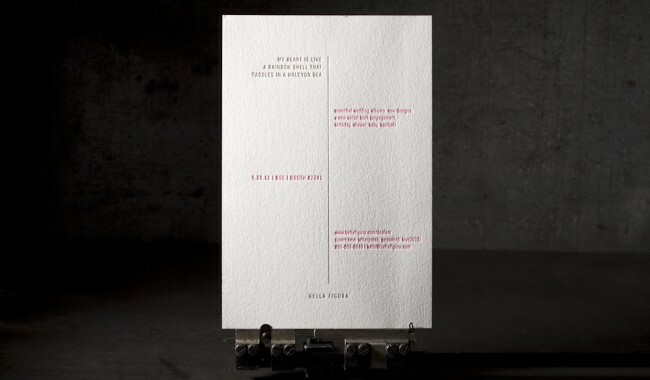 letterpress, foil, and offset printing. Bella white 1-ply cotton and Smock white 1-ply bamboo. the pieces used a combination of letterpress inks (573U, hot pink 806U, dove CG1U); offset inks (dove CG1U) and foil stamping (gold matte). printed on our Heidelberg Windmill 10×15, Kluge EHD 14×22, and our KSBA Heidelberg Cylinder. 3 invitations (with offset back patterning and edge painting). 1 sleeve enclosure (custom die cut). custom converted outer envelope with patterning on the interior. 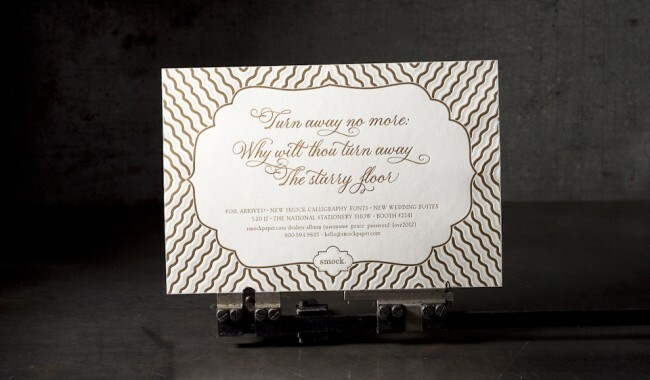 (invitations are 8” x 5.375”). 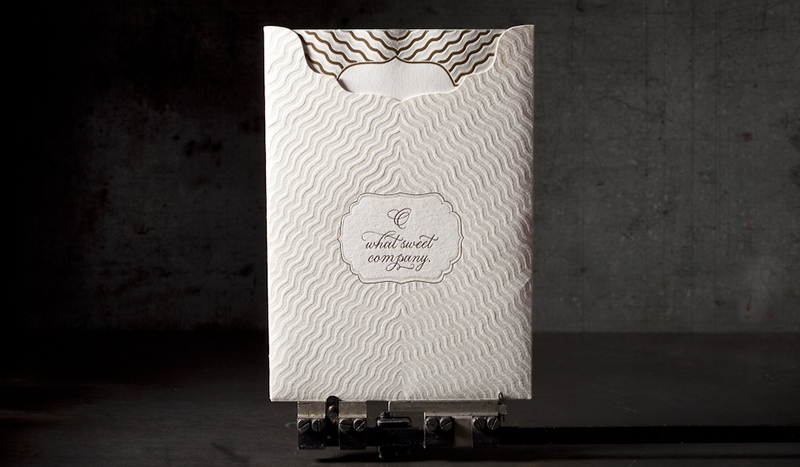 these lavish invitations helped launch the National Stationery Show releases of Boxcar Press’s sub brands (Smock and Bella Figura).